Bugging out: Is cricket flour on your menu? Many in the foodservice industry are touting cricket flour as the next “super protein,” so will it soon be an ingredient on menus? Why not! According to a nutritional insect fact sheet published by Iowa State University Entomology Department, February 25, 2000, crickets have a 12.9 percent protein content versus the 28.2 percent protein of caterpillars. 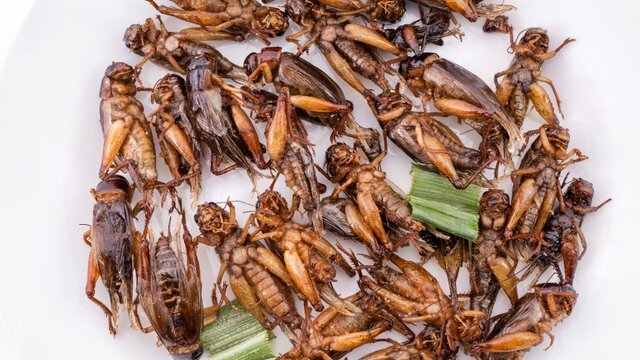 That means crickets have half the protein of chicken and beef, which contain about 25 grams of protein per 100 grams of meat, according to data from Iowa State University and the U.S. Department of Agriculture. The edible cricket companies like to emphasize that if you’re talking about the percentage of protein in dried beef versus dried cricket, crickets win by 22 percent, according to Alexander McCall, author of Startups Pitch Cricket Flour as The Best Protein You Could Eat, August 15, 2014. According to Alexander McCall, a lot of people are excited about the potential of edible insects. A 2013 report from the United Nations Food and Agricultural Organization noted that insects like crickets, mealworms and grasshoppers are nutritional powerhouses high in protein, fat and the essential amino acids lysine and tryptophan, which are scarce in cereal proteins like soy. Companies can also farm insects on far less land and emit fewer greenhouse gases than traditional livestock.